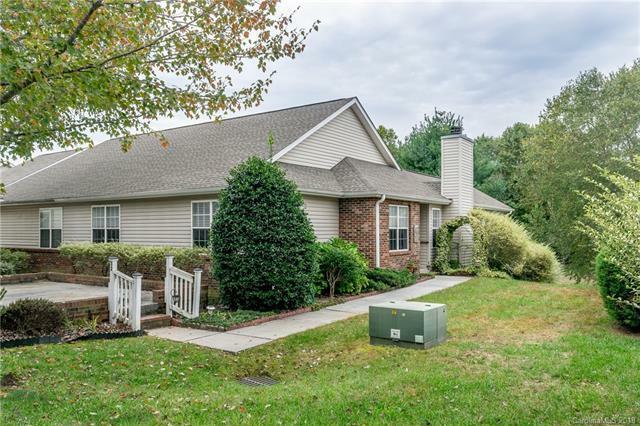 Well maintained Townhome in Haywood Townes. Close to Downtown and Hospital, and yet private and cozy. Carpet less than one year old. Lovely flooring throughout. Plenty of windows for a light and airy feel. Modern kitchen and formal dining room. Large master with lots of light, tray ceilings and large walk in closet. Enjoy the private covered back deck opening to nicely landscaped yard and woods. Great walking neighborhood!